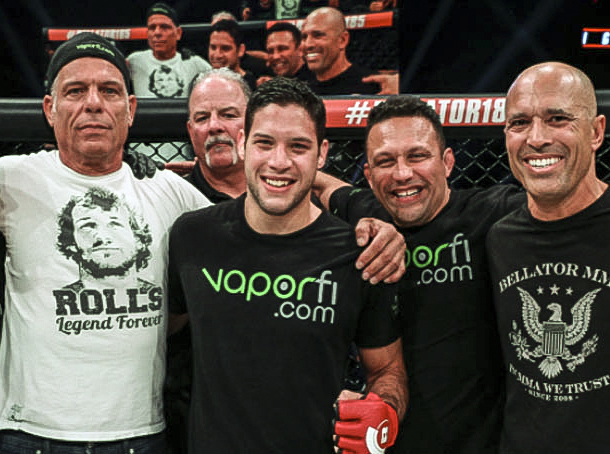 Following a successful Bellator 198 in Chicago, Illinois, Neiman Gracie, nephew of legendary mixed martial artist, Royce Gracie, improved his record to 8-0 with a victory over Javier Torres. In an evening that saw all matches end with finishes, it is fitting that Gracie would also see a submission victory via second-round arm-triangle-choke. “He’s a Gracie, man,” Royce teased. “He trains for this. He gets ready. He knows the grappling game,” Royce continued. Neiman and Torres seemed to have different gamelans walking in to the fight. Neiman used a lot of grappling and ground pressure on Torres. Torres appeared to be ready to go to the ground with Neiman and grapple with him, even mocking him during the end of the first round. 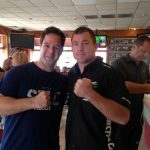 The second round was all Neiman as he smothered Torres until he was able to get the choke that would end the fight continuing his unbeaten streak. It almost seemed a moot point to Royce after the fight when he heard that Neiman and Torres got heated backstage before the fight. Even though Royce wasn’t there for the exchange, he seemed confident that Neiman would know how to handle the situation. “This trash talk does not work against Brazilians,” Royce explained. “I told Neiman about it at the press conference … It doesn’t work. We’re used to this as Brazilians, this trash talk, it bubbles up even more. We don’t get intimidated because you can talk trash but its only going to rise our blood even higher,” Royce finished. “It’s time, it’s time,” Royce confirmed. “As a Gracie we don’t want him to cut the line and go straight for the title. We want him to climb the latter like everyone else so there is no excuses,” Royce finished.